Carrying on with the idea of routines, I recently saw a quote on Gretchen Rubin’s site that talks about the pleasure of a single task repeated. Even one task fulfilled at regular intervals in a man’s life can bring order into his life as a whole; everything else hinges upon it. By keeping a record of my experiences I live my life twice over. The past returns to me. The future is always with me. It reminds me of a surprising but small shift in attitude in my life almost a decade ago. Almost all my life I had the privilege of living with a dishwasher, but at that point in my life, we lived in a tiny apartment with no counter space and no dishwasher. Having to wash dishes by hand made me groan every time I looked at the ever-growing pile of dirty plates, glasses, and cutlery. 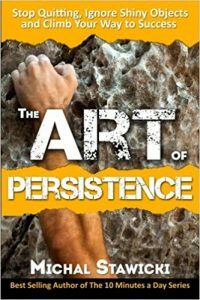 At the time, I had just begun my journey to being more consistent in the pursuit of my goals. I had decided that to help me make that happen, I would be more consistent with small tasks around the house and doing the dishes daily became one of those routines I started. Instead of seeing the washing up as an onerous, boring task, I turned it into a moment to meditate, to breathe, and to disconnect from the stresses and worries of the day. And it worked! I went from hating the chore, to feeling empty if I didn’t do it. Through one small change, I added a sense of calm and order to what was normally a chaotic day. Over the past few years, I’ve gotten out of the habit, but recently have picked it up again. There’s nothing quite so satisfying than sitting down to write with the counter empty and clean, the bed made and the floor swept. This has nothing to do with the idea of external clutter equals mental clutter or that cleanliness is next to godliness. It has totally to do with a sense of fulfillment that the quote describes. As chaos theory has demonstrated, the micro is the macro and vice versa. Coastlines are made up of the same shapes when looking from space down to looking at the almost microscopic level. Plus, Dirk Gently tells us that everything is connected, so being consistent with small tasks that have no emotional weight to them helps maintain consistency with more emotionally charged goals like writing and publishing a novel. In what ways do you use small chores and tasks regularly fulfilled to create order and consistency in your life? At the end of last year, I finally did a business-related task I’d been procrastinating on for ages. It was a non-trivial project, but I’d been thinking “I really should do this” for way too long. It felt so good to finally have it completed! And starting the first week in January I finally started using my Waterpik flosser. I had that thing sitting on my bathroom counter for three months before I read the instructions and began using it. Taking better care of myself was one of my goals for 2018, and this was a nice first step. My dental hygienist can stop bugging me about this, finally. Why did I wait so long? But procrastination is something almost all of us fight at times. Sometimes we procrastinate for months over something that winds up taking just a few minutes. Laurie Voss tweeted about putting off a phone call for three months that took only three minutes when he finally did it. I relate to that! I’m very good about taking care of things that are time-critical. But many things on my lists have no real urgency about them. Still, getting them done would have a positive impact on my life. As I’ve been thinking about the simple to-dos and larger projects that seem to linger on my lists, I’ve decided I’m going to try this approach: Each week, I’ll do one thing I’ve been procrastinating about tackling. If I get inspired and do more than one, that’s great — but one is my minimum. For the large projects, I won’t try to do the whole thing in one week — I’ll just take the next meaningful step. For example, the first step on dealing with my slides would be going through the first few trays of slides to decide if they are all ones I want to have scanned. I also know that making a public declaration of intent is a good way to make sure I really overcome my procrastination. So here’s my declaration — I’ll report back later this year to let you know how things went. I have a great app, called TimeHop, that reminds me each day of what I’ve posted on social media one year ago, two years ago, and so on. The other day it reminded me of a word I’d chosen to represent all my good intentions for one particular year: consistency. However, I obviously didn’t pay much attention to the promise to myself because years later consistency is still my weakness. Other than yoga classes, exercise is an on-and-off thing. Writing regularly became writing almost never. And I still battle daily the urge to eat foods that cause me health problems. We don’t take it seriously. We give in to temptation, out of habit. We dislike the experience and avoid things we dislike. We forget why it’s important. We get down on ourselves or give up in disappointment. There are too many barriers. I’m guilty of all ten reasons. Let’s take my health as an example: While do not have celiac disease, I am very sensitive to gluten. When I include gluten in my diet, I suffer from fibromyalgia-like symptoms (I get brain fog, I hurt all over, and I become increasingly inflexible), my rosacea flares up, and I gain weight as if I were eating double the calories I’m consuming. And yet, when faced with eating better, I say “m’eh, tomorrow” as if my health wasn’t important. Put a shortbread cookie in front of me and it’s in my mouth before I remember that I’m not supposed to eat it. Given that the anti-gluten craze is at an all-time high, I feel uncomfortable telling people I can’t eat it because I don’t want them to think I’m some sort of food fad follower. I adore anything that is wheat-based: bread, cake, pie, cookies, pizza — you name it; if it has wheat it in, I love it. My favorite rationalization is that “one day won’t hurt me” but then one becomes two, or three and then a month. I also tell my body that it’s overreacting and that a little gluten won’t hurt it, that tomorrow I’ll do better. I’m not a fruit fan, and hate having to make myself other food, or choose not to eat out. It’s too awkward and uncomfortable to make healthy choices. And once I’m off gluten for a while and feeling fantastic, I completely forget what it’s like to be in pain and fuzzy-headed. When all of the above reasons for not avoiding gluten don’t work and I indulge on pizza and sandwiches, I tell myself that it’s impossible and I should just learn to live in discomfort. And finally, Spain has a bread-based culinary culture. While there are more and more non-gluten options available, they are usually more expensive and rather cardboard-like in taste and texture. As a foodie, eating healthily is a nigh impossible task. I could run through the same exercise with my fitness regime, my writing, and to be honest, with any goal I’ve set myself. When it comes down to the word consistency, however, all ten reasons are excuses. There’s only one question I have to ask myself. I don’t just want this, I am driven to follow this path to the end. If consistency is a challenge for you as well, perhaps the words of others might help you create that drive for success that you’re currently lacking. New Year’s resolutions are an ancient ritual, stretching all the way back to the Babylonians and the Romans who made promises to their gods to do things better in the coming year. However, just because something has been done for a very long time, it doesn’t mean that it’s necessary, or even useful. And, to be honest, how many people do you know actually follow through on their resolutions? Fitness centres rely on resolutions for a influx of income knowing that the majority of new clients will only attend classes for a few weeks, but will actually pay for several months, or even a full year. Don’t get me wrong, I’m all for introspection and self-improvement, but doing it once a year in a fervor of self-punishment is not the best way to achieve a goal. Know yourself. What type of person are you? What works for you? What doesn’t? 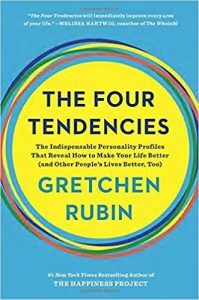 Gretchen Rubin’s The Four Tendencies is a great book to read if you want a simple and efficient way of answering these questions. Examine your life. What’s working? What isn’t? Don’t look at your perceived faults and failings. Take a look at where you want to be and where you are in that process. By doing so, you remove the personal judgement and make it an objective review of your objectives. 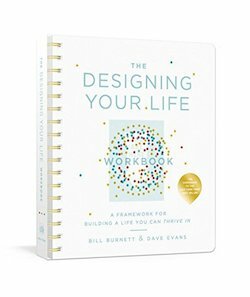 Burnett’s and Evans’ The Designing Your Life Workbook is a good tool for that. Monitor your progress and set up regular reviews. As I have been doing with my Bullet Journal experiment, check in regularly with your objectives. Progress needs to be examined on a weekly basis at the very least (if not daily), the circumstances need to be reviewed, and minor alterations in course need to be made. For me the Bullet Journal system has been working very well so far. So, instead of asking you what you resolutions are, I’ll ask you what goals you are working on and what progress you’re making with them. Good habits aren’t easy to form, but so simple to break. Think about a gym-commitment. How many times do you start some exercise program only to stop because for two days in a row, you are too busy to go to the gym? This happens to me all the time at work. My best intentions get trashed because I arrive and have to solve any number of mini (or not so mini) crises. I promised myself that I would spend at least five minutes a day updating my various Bullet Journals, but in November, things fell apart. I managed to keep up some semblance of lists until mid-November, but after the 20th, I added one entry on the 30th and nothing since then. In my home-related journal, the abandonment happened well before that. And other than medical appointments, I haven’t added anything to my agenda in a long time. to learn to blend work-Alex with home-Alex to create better balance. Okay, so if those are the three objectives, what went wrong? I got distracted by technology. Remember how I moved from iPad Pro? It allowed me to create an infinite number of journals. Bad idea! I’m a minimalist and need everything in one place. Each day more than half of my workday was taken up with covering the tasks of an employee on sick leave. When I had time to do my own work, I ran around putting out all the mini fires that were popping up because I wasn’t keeping a watchful eye on the whole bonfire. By separating out work and home journal, I complete negated the third objective and went back to my comfort zone which is to put my focus and energies into work. Does that mean the Bullet Journal experiment has been a failure? Only if I let it. The good thing about calling the project an experiment is that failure is built into the name. Most discoveries are made through systematic trial and error and each failure is considered progress towards the desired result rather than proof that the project isn’t worth pursuing. J.K. Rowling gave a speech years ago about the power of failure (included in this great list of her successes). Failure is part of the learning process. If we let failure stop us from moving forward then the failure and any related suffering has served us for nothing. Of course, the result may be abandoning the project. It’s madness and soul-destroying to continue something when it’s obvious that the originally desired result is not possible. But that is not my case. With the holiday season upon us, now more than ever, I need to refocus and go back to my original plan — one journal with all my information together. I will stay with the digital version instead of going all the way back to my physical journal (although they are so nice to touch and feel) because the digital version allows me to move pages around and insert images and with ease. How have you used failure to refocus your projects and find new and better ways to create progress? Over the last few months, I’ve been dealing with the sick leave of one employee after another in my day job. It was, of course, just a matter of time before I fell ill as well. Fortunately, I’m not bed-bound nor will I have to miss work, but I am moving more slowly, have no energy, and find it hard to concentrate. As a consequence, I’m not able to get nearly as much done as I would like, I have to postpone a bunch of holiday-related projects, and I can’t tackle anything that requires much brain power. I could be very cranky. I could push myself and end up having to redo the same work later. Or I could take a break and let this cold pass. Being a naturally lazy person (my main motivation in doing things efficiently), the latter option appeals most to me. However, I can’t be completely unproductive. It’s just not in me. If I can’t tick things off my various lists, I get anxious. I used to be quite good at completely disconnecting. Over 20 years ago, I was diagnosed with fibromyalgia (which actually turned out to be intolerance to certain foods), and spent nine years in constant but variable pain. There were days that I could do nothing but stare at the ceiling and hope the next day would be better. It’s when I learned to be a minimalist, both in possessions and actions. I learned the hard way how not to feel guilty about not getting anything done. I wish, however, I’d had the book Say No to Guilt! 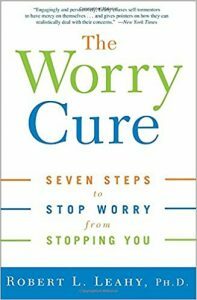 : The 21 Day Plan for Accepting Your Chronic Illness and Finding Inner Peace and Happiness by Kristi Patrice Carter. I’m lucky in that I no longer have the chronic pain, but I do need to remember the skills I built up in that period of my life when things like colds hit me. The main trick is to let it happen. Instead of fighting with myself and making the week even worse, I let myself be sick. I enjoy the day in bed or sprawled on the sofa with mindless TV programs, instead of whining about every moment that I wasn’t sticking to my schedule. At work, I also treat myself with care. No projects, no meetings, nothing that requires either deep thought or delicate communication skills. I stick to strictly administrative tasks that can be done even while my head floats about in a medication-induced haze. In the end, even though I don’t complete a lot of tasks, I still accomplish the minimum, and a pamper myself enough to get back to full strength quickly. It is much better to allow the house to become a disaster for a few days, or for work tasks to pile up, so that I don’t experience any sort of setback. By scheduling in plenty of relaxation time I give myself wiggle room to catch up after feeling better. If you don’t give yourself that sort of space, then when you do fall behind, you just keep moving backwards struggling every moment. So be kind to yourself and stop struggling – plan your time well and give yourself the best chance to achieve success, creatively. And if you don’t get it all done, don’t worry! 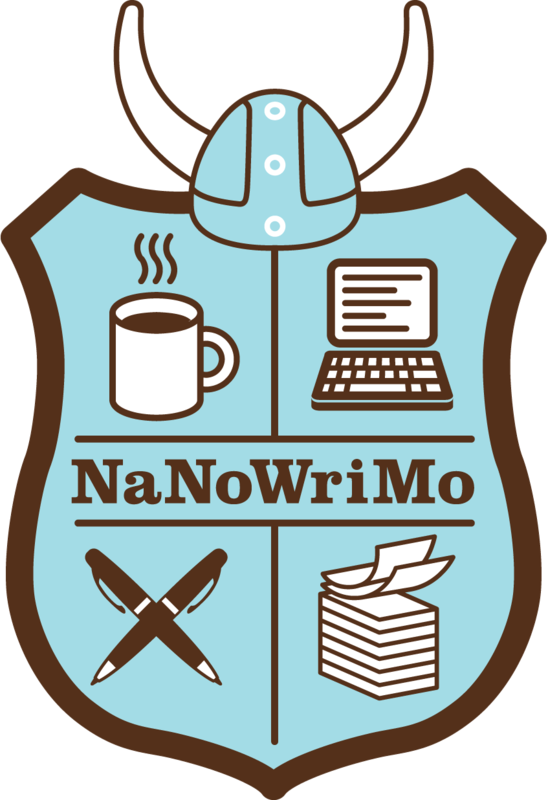 Today National Novel Writing Month (NaNoWriMo) starts, 30 days of concentrated writing with the goal of producing a 50,000 word novel. Nearly 20 years old now, the month is a way for writers to set themselves a goal and a deadline, producing 1,667 words a day. To provide motivation to writers who may find life getting in the way of writing regularly. To provide a community of support in what is considered a rather solitary process. To shut down the internal editor, the voice that blocks forward motion. To gamify the writing process, giving writers the chance to score wins against the final word count. I’ve done it a few times, although I only won it once. While in principle I think it’s a great idea, for me it creates too much anxiety and pressure. The binary win/lose option stresses me out and then I can’t actually focus on the writing. Author Chuck Wendig does a great job of taking a slightly tongue-in-cheek look at the pros and cons of working in this way. For many people, however, it’s the exact motivation they need to finish something. Many popular authors have used the month to kickstart bestseller novels. Unclutterer is focused on organizing and productivity not writing novels so why discuss it here? Because maybe for you, a binge approach to an organizing project you’ve been putting off may be just the thing you need to get going — and to reach the end. 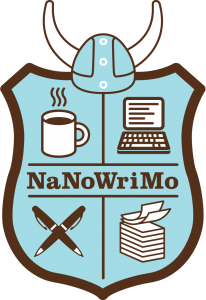 Let’s break down NaNoWriMo into its component parts and transfer them to a hypothetical organizing project: unclutter and organize the kitchen cupboards. This type of organizing, however, is not for everyone. Just as I no longer do NaNoWriMo because it produces too much pressure-related anxiety, the stress of “having to” organize a drawer or cupboard every two days might produce panic or paralysis instead of motivation. It depends entirely on your personality. 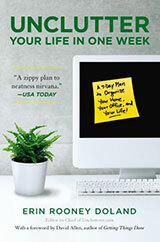 If you think you’ll enjoy this challenge, check out Erin Rooney Doland’s book Unclutter Your Life in One Week. 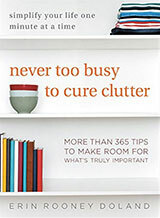 It has great tips and provides a guide for uncluttering any room in your home. How do you deal with slips in your projects? 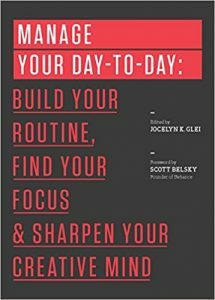 One of the main goals of Unclutterer, apart from helping readers lead a more organized and streamlined life, is to help you create long-lasting change in your routines, habits, and life. Many of our articles revisit similar themes so that you can keep moving forward with your goals, revising what you are doing well, and identify when you need a course correction. In my case, I am trying to merge my work and home life personalities. At work, I am decisive, productive, proactive, and passionate. At home, I never make decisions, ignore projects, react before thinking, and live with neither ups nor downs. As regular readers know, I’ve been using the Bullet Journal system to transfer my work personality to my home one. And while the system has helped me keep my head above water during a stressful period at work, I’ve let my passivity to life stay in control and have pretty much converted my Bullet Journal into a solely work-related tracking system. So, something needs to be done, and I think I’ve found the trick: the Moleskine app for my iPad Pro. One of the reasons I’ve let the personal life slide is because the work list was taking up a full page, leaving me with no room to add personal stuff and I refused to have a single day in two different pages in my Moleskine notebook. Sure it’s an excuse, but it was enough to derail me. However, with the Moleskine app (available for iOS) I can have multiple notebooks and yet have only one item to carry. The app is free if you want the basic notebooks of Weekly Planner, Plain Paper, Lined Paper, and Grid Paper. You can buy other notebooks for Photos, Recipe Tracker, Travel Journal, and Wine Journal, but for now I have no interest in those ones. If you are an avid cook, travel writer, or wine lover, these journals might come in handy for organizing your thoughts. Weekly Planner: to schedule my days and know what’s coming up. This planner looks into the future and includes both work and home. Work Journal: to organize all my work-related tasks. I love the color and pen thickness options in the app and can keep track of all my tasks and priorities in a vibrant, colorful way. 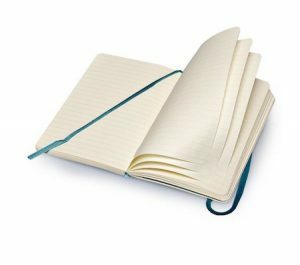 Home Journal: to keep my personal-related actions, desires, and ideas front and center. This journal is copied from my work one and will hopefully, over time, instill my home personality with the more active traits from my work personality. Connection Journal: to remind myself to connect with my social circles. As an introvert, I could easily go through a week only talking with work mates, but friends and family need to be taken care of or they won’t be there when my introverted self decides it wants company. Time Tracker: to make sure I take time for myself each day. I can easily be busy, busy, busy, from the moment I wake up to the moment I go to sleep without taking even 15 minutes to read, write some fiction, or just stare at the ceiling. This journal looks at what has actually happened each day and serves as a good reminder that without personal time, I will burn out completely and start cutting myself off from the rest of the world, which is the exact opposite of my goal. Wait a second… Five different journals? Isn’t that a lot of work? Yes, it is, but the changes I want to make in my life are big and doing any less has proved too easy for my (nearly) 50 years of habits to take control and derail my plans. I love my iPad Pro and the Apple Pencil — it’s the closest I’ve ever seen to a digital notebook, and now that I can use my favorite notebooks in digital format, I couldn’t be happier. Productivity and perseverance thanks to technology. What changes are you trying to make in your life? Are you aware of any slips? What are you doing to correct them and maintain momentum? Recently I’ve been feeling rather overwhelmed at work. With the introduction of a new database and several people off on sick leave my to-do list never gets shorter. Fortunately, I am an organized person and manage to move forward even if it’s just a few priority items. But what if being organized is a challenge for you? That feeling of being overwhelmed becomes so all consuming that paralysis sets in. Let’s imagine a situation that many people face. Let’s call our test subject Gloria. She’s a single mother with two children and has recently decided that she will pursue her dream of working in television full-time, as a freelance writer and producer. When looking one year into the future she clearly pictures having implemented some of her program ideas, having produced the show she wrote, and being able to support her children financially. The problem is that she’s so overwhelmed by the normal anxieties of life that she can’t see clearly. There seems to be so much stuff that she’s paralyzed by it all. She’s moved her office in-house so that she could work on things 24/7 but that hasn’t worked (which isn’t surprising). Bringing the office into the home often creates more anxieties not fewer. Without a clear separation of work life and home life, the stress and guilt of working or not working 24/7 multiples exponentially. Every moment at work outside of regular hours takes away from family time and every moment with the family is one less moment striving for the work-related dream. In our go-go-go world this sense of paralysis is common and it’s something many people suffer from. It happens when you allow your to-do list to get longer and longer which results in panic and paralysis. Gloria especially feels anxious when she looks at all the day-to-day tasks. That often happens when people keep it all in their heads — it builds and each item seems unrelated to anything else. As well, as I said working on things 24/7, is not the best way to get things done. Time off is important, not just to recharge the batteries, but also to allow ideas and projects to simmer in the back of the brain. So what should Gloria do? She needs a plan. She needs to know what she’s working on when. However, she can’t create that plan until she knows exactly what she wants to work on. Yes, in her one-year-in-the-future vision she hints at what she might work on now, but the ideas are still very abstract. They are results, not actions. When looking into the future, it’s important to focus on actions. Outcomes are great, but they don’t motivate well because they leave a gap between the current state and the future outcome. That gap can only get filled by action. And what actions does Gloria need to focus on? What actions do you need to focus on if you want to achieve your dreams? How can you choose any one thing when the to-do list is longer than a line-up to buy U2 concert tickets? She might just pick one random item and work on that. Or she might pick the top three things that have reached crisis mode. Or she might take a bit of time to plan out her actions, which first requires some research. In this case, research doesn’t mean going out and looking up information or talking to others. For this type of research she is going to interview herself. Using a blank piece of paper, Gloria is going to write down the numbers 1 to 100. Next, she will fill in all 100 slots with everything she does during the day, as well as everything she feels she should do and everything that she wants to do, but hasn’t got around to yet. What will Gloria get out of overwhelming herself even more? How will this exercise help? Right now Gloria feels overwhelmed by all of her to-dos. These to-dos however are only in her head, which she needs to liberate to allow more focused thought take over. Getting it out on paper does just that. Plus by giving herself a goal of 100 items she’ll likely have a hard time filling in every number, and she’ll realize that she doesn’t actually have as many things to do as she thought, taking off some of the pressure. So now she has a list of items that she does (or wants to do). How does she take this list of actions and turn them into a plan that works for her, gives her time to relax, and moves her towards her dream? By prioritizing, delegating, and deleting items from the list. And no, it’s not easy. In fact this sort of challenge paralyzes many people. Gloria will most likely need help. She’ll need the outside objectively of someone who isn’t so intimately connected to the actions, someone who can help her decide priorities and what doesn’t really need to get done after all. That help could come in the form of a friend, a family member, or a professional (like an organizer or a coach). So, just how short should her list become? That depends on each person. In my case, I can have a very long to-do list without panicking, but others might need short lists, with tasks and projects spread out over stages based on priority. Finally, Gloria needs to get started. Lists are great tools, but they need to be used. She might decide to use a system like Getting Things Done, or Bullet Journal (as I’ve been doing). But whatever the system, she needs to commit to it and let the lists guide her through the minefield of task-related anxieties. At the beginning of September, my husband and I started a new way of thinking about our food with the goal of getting down to a healthier weight. We got professional help and we made the decision that we wanted to succeed. Now six weeks into the goal, we are on track, having lost an encouraging and healthy amount of weight, despite having birthday parties and Canadian Thanksgiving to tempt us into giving up. My husband continues to be motivated, but I have to recognize that I care much less. I’m now down to my average weight from the past six years and I’m more or less comfortable. My husband, however, has a bit to go before getting down to his usual size. It’s common part way into a project to lose motivation and make less effort. In fact, I mentioned how in my Bullet Journal experiment, I’ve given up tracking my weekends and how I have to be extra vigilant so as not to let the experiment slide. When this point in a project arrives, it’s important to re-examine motivations and maybe find new ones. For example, my husband is still motivated because every day he can get back into a piece of clothing that he hasn’t been able to wear in at least a year. All my clothes fit me, however, so I’m not motivated by the same benchmark. If I want to continue dropping pounds, I’m going to have to find myself a new way to get myself excited about the goal. In your home or office organizing projects, different family members will have different motivations and over time those motivations will change. And sometimes what seems like a logical motivation won’t carry enough emotional power to influence behaviour. I’m at this point. I have food issues, being borderline celiac. If I eat gluten, my rosecea flares up, my moods soar all over the place and I get quite distracted and forgetful. It doesn’t work for me as a motivation ignore though because it’s a negative motivator. Yes, I feel better when I stay away from gluten, but it’s hard work, especially when eating outside the home. I still want to continue to lose weight, ideally getting down to my wedding weight back in 2011. I’m already almost halfway there, but I need to find some sort of motivation that grabs me and drags me along towards success without a fight. Forbes has a good article about motivation and I’ve always been a fan of Gretchen Rubin, but none of what Forbes suggests excites me, and I really don’t feel like re-reading any of Rubin’s books. So, I’ve decided to crowdsource my motivation. What tricks and tips do you have for maintaining motivation when the excitement of a new project wears off?